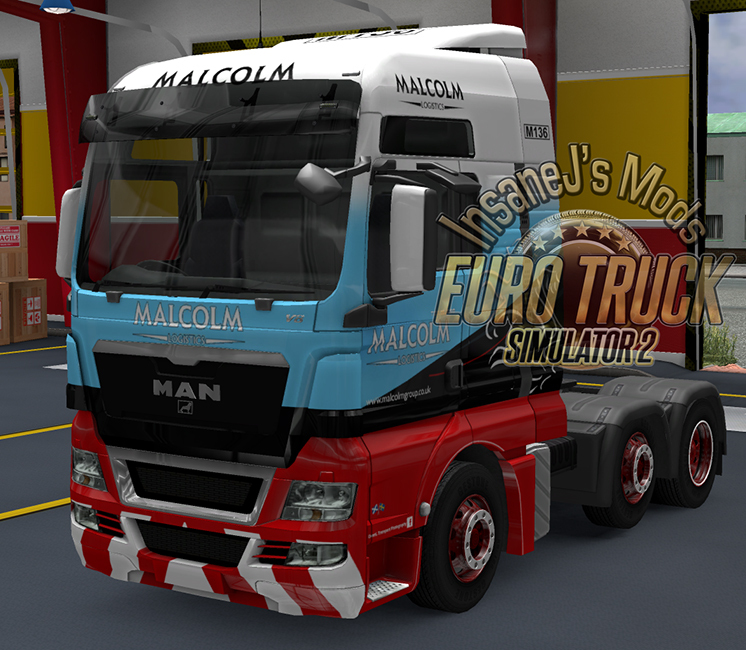 There’s been a few changes in the Malcolm truck skins mod. As with the Stobart Mod I have updated the shop icon. All truck skins have been updated to add some extra logos and text that were missing from my original releases. By request I have released a skin for the MAN XXL.